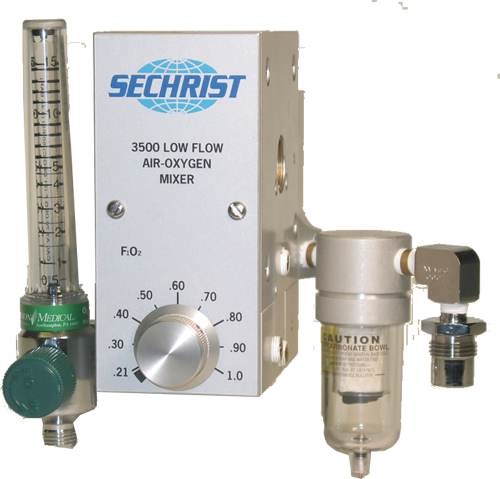 Sechrist Air / Oxygen gas mixers provide for precise mixing of air and oxygen for many clinical applications. 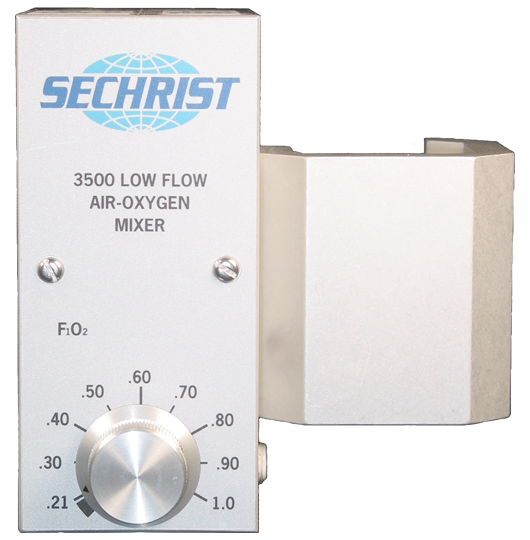 Sechrist mixers are available in high flow or low flow configurations. Mixers are available for general and specific applications. It is well understood that if a device can be designed to perform its intended task in a straight forward and simple manner, the better it will accomplish its function. A simple design resulting in lower costs, better reliability and lower maintenance costs. 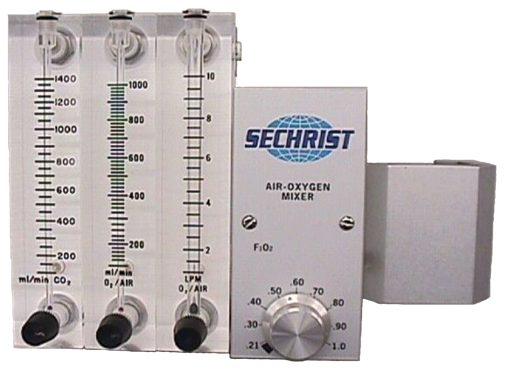 Sechrist mixers are consistently less complex than competitive devices. 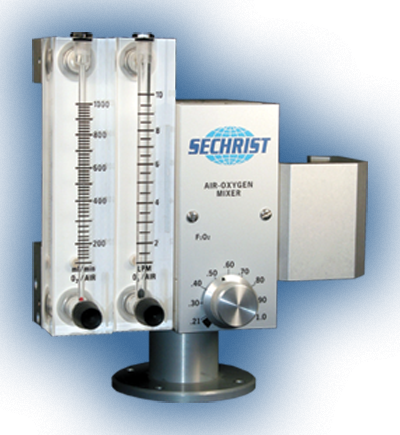 The precise design of Sechrist mixers provides assurance of oxygen concentration accuracy within + 1 percentage point even in circumstances involving wide variances in supply gas pressures. Pole or wall mounting configurations as well as dual outlet connections are available for most models. 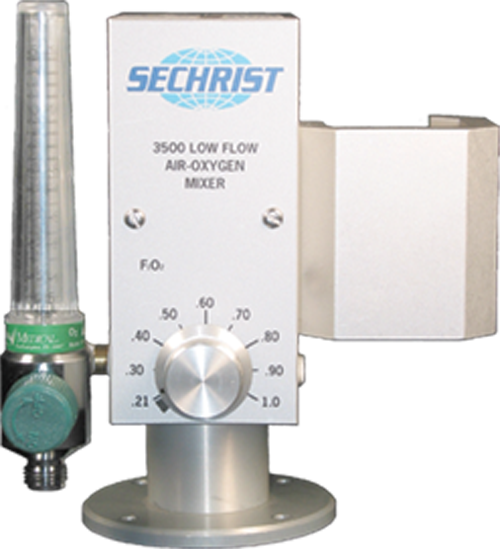 Sechrist mixers incorporate integral filtration of supply gases. A 0.1-micron water trap/ filter is provided for the air inlet connection and both gas supply connections are protected by 7 micron sintered stainless steel (non-corroding) filters. In the event of a supply gas failure, an audible alarm is triggered as well as an assurance that gas from the remaining supply source will continue to be delivered. Custom designs can be manufactured for desired specifications and applications. Accuracy*: +3% Maximum Flow: 40 LPM Bleed Flow: 2.5 - 4.